It’s almost impossible NOT to be bombarded with Christmas this time of year whether you celebrate the holiday or not. Christmas sales, Christmas shopping, Christmas specials on TV with Christmas-themed commercials, Christmas music– SO MUCH CHRISTMAS MUSIC– not to mention Christmas movies. Sometimes all the snowmen and Santa Clauses and heartwarming soundtracks can get a little stale. Maybe you love the classics and will never get tired of watching Elf twenty times a year. Or maybe you’re ready for something different. Luckily you can indulge in some holiday spirit without going overboard by checking out one of these not-so-traditional movies featuring December 25th. If there’s something strange…in your neighborhood…who ya gonna call? In Ghostbusters 2, the gang encounters a convulsing toaster, a massive river of psychoactive pink slime running beneath New York City, and a seriously creepy painting possessed by the spirit of an evil dude named Vigo who haunted my nightmares as a child (see above). Perfect for getting in the Christmas spirit. When Randall adopts a cute & cuddly pet named Gizmo, the mysterious little mogwai comes with three important rules: 1. Don’t expose him to bright lights, 2. Don’t get him wet, and 3. Don’t feed him after midnight. The rules get broken almost immediately, and soon little Gizmo begins spawning dozens of slimy, evil creatures bent on violence and destruction just in time for the holidays. Even before Jack Skellington came along, Tim Burton mastered the dark Christmas vibes in Batman Returns. Here the Caped Crusader confronts a corrupt millionaire and the repulsive Penguin to save Gotham City in this gloomy Christmastime tale. Oh yeah, and Catwoman comes by to steal the show, too. A+ & ideal December viewing. There you have it– three Christmas-y movies that serve up something more than your average sentimental sweetness. Time to plan your winter break movie marathon! Hazel Grace Lancaster and Augustus Waters are two terminally ill teenagers who meet and fall in love. If you think that sounds like a melodramatic Afterschool Special (teens, do you understand this reference? ), I don’t disagree with you. 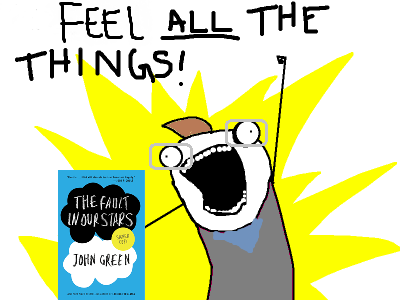 Despite my initial meh feeling toward it, The Fault in Our Stars by John Green had me sobbing. Noisily. Embarrassingly. I was crying. I was driving. It was raining. The world was a bit blurry. I admit, I should have pulled over as my tears were a danger to my driving abilities. However, I continued driving and kept telling myself, I’ll stop crying soon. It can’t get any sadder. Pittsburgh Post-Gazette reported The Fault in Our Stars will shoot in Pittsburgh beginning August 26. I can’t wait to see how the script writers interpret the sadness, the excitement and scariness of first love, and the other jumbled emotions that make up this intense book. Fans have been debating for months since the bestseller’s publication which actors should portray the book’s main characters. It seems official decisions have finally been made with Shailene Woodley playing Hazel and Ansel Elgort portraying Augustus! These casting choices and the script writers’ past successes are getting people hyped. 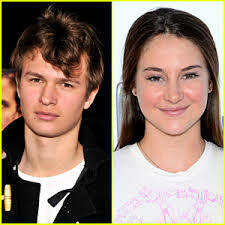 Shailene and Ansel are also acting in Divergent! Nerdfighters, don’t forget that CLP-Main will host a screening of A Film to Decrease Worldsuck: The Nerdfighters Documentary on Sunday, August 18! We’ll be in the Carnegie Museum of Art Theatre (lower level) from 5-9 with TFIOS-themed art activities and musical performances by Lauren Fairweather & Matt Maggiacomo and Tonks and the Aurors. Posted on February 15, 2013 by Abby H.
Do any of you remember that SUPER AMAZINGLY POPULAR event the Library hosted with the Museum last November? Well, my friends, prepare yourself for yet another SUPER AMAZINGLY POPULAR event coming your way. On Saturday, February 23rd at 2 pm fans of the book and film that served as the theme for our Alternative Homecoming are invited to another epic event at CLP Main- Teen. We’ll be crafting, snacking, sharing our favorite quotes, competing in trivia, and enjoying the music that is featured so prominently in the book and film. And then at 3 pm, we’ll screen the movie that was filmed and takes place here in Pittsburgh! End of Summer- BOO! End of Summer Party- YAY! Posted on August 7, 2012 by Abby H.
When I was a teenager, I couldn’t stand those back-to-school advertising campaigns that seem to kick in while summer is still in full swing. And how about the stores that start selling fall jackets when it is still 90 degrees outside? For me personally, the count down to the new school year was such a drag that even a full scale-gratuitous-shopping-binge didn’t prove therapeutic. So now that the Teen Department at CLP Main is hosting an End of the Summer Celebration on Friday 8/24 from 2 pm to 5 pm, I feel like such a traitor. But really- we’re on YOUR side. We’re not trying to pour salt in the wound, we simply want to reward you all for your participation in this year’s Teen Summer Reading program (which, by the way, it’s not too late to sign up for….). And the truth is, we’ll use any excuse to throw a party here in the Main Teen Department. So, come- despite yourself- and just try to enjoy the last sliver of summer…. TWO bad movies- one about a crazy summer and one about going back to school! All teens in middle or high school welcome. For more information, contact teensmain @ carnegielibrary.org or 412.622.3121. The Last Day of School…the Movie! Posted on June 5, 2012 by Abby H.
The end of the school year…. Ahhhhh…. It’s so close, you can taste it, right? Soon the public pools will open, Extravaganza and Teen Summer Reading will be in full effect, the Pirates will be crushing the competition (well…. hopefully…. 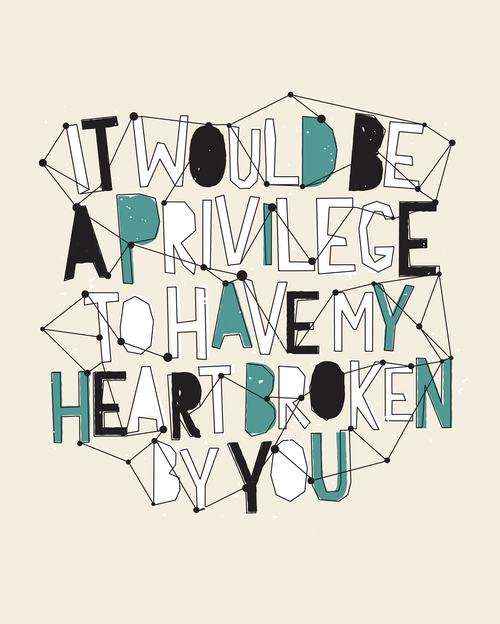 ), and you’ll be homework free for a solid two or three months. When I think back to my school days, I remember those last ones the fondest. The summer held so much anticipation and so much promise! I almost didn’t even mind attending school, because I knew my days there were numbered. The school days were short, the tired teachers showed films instead of- well- teaching, and the only writing we students did was in yearbooks. Turns out many others have found inspiration in those last days of school, so much so that there are entire movies dedicated to those last days of school. Teens of Pittsburgh- you are almost there! Join us at CLP Main- Teen on your last day of school- Wednesday, June 13 at 3 pm- for a screening of a classic of the genre. Until then, you’ll just have to experience the excitement the last days through film. Below are some of the best and they are all available to check out from the library. Feel inspired to make your own last day of school film? Check out CLP’s QuickFlix 2012 contest and free digital filmmaking workshops!